Miss Bass obtained her B.A. of Arts from Wright State University. She has been teaching for 5 years been at DLA. She loves the students. They have so much personality you can't help but want to invest in them. Miss Phelps is a native of Dayton, Ohio and joined Dayton Leadership Academy in 2015. She is a graduate of Colonel White High School and Central State University where she received her Bachelor’s in Physical Education. She has been able to leave a mark in the education field for over ten years serving in the areas of administration, counselor, tutor, and educator. 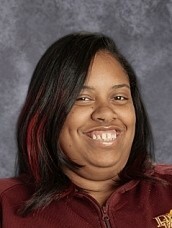 She enjoys basketball, something that secured her scholarship to Central State University, and she still plays today. She is currently Assistant Coach of the girls basketball and track teams at Dayton Leadership Academy. The unique thing about DLA is everyone is integrated well and all want the best for each student. It truly is a team effort for the better good of the students and the staff. Becoming a part of the DLA staff was an easy decision once she realized how the school’s goals for student success aligned with her goals. She aspires to empower students with the belief that they can do anything if they set goals and work hard. Mr. Stokes was born and raised in Dayton, Ohio. He attended Trotwood-Madison where he was a member of the choir, show choir, marching band, concert band and jazz band. After high school, he attended Tiffin University where he graduated with a Degree in Commuincations. During his time at Tiffin University, he performed with the award-winning a cappella Group “ Up In The Air.” Mr.Stokes also attended the University of Dayton for Music Education to pursue his passion for music and teaching students. Outside of school, Mr. Stokes is an active performer, performing at venues all over the country year round. Mr. Stokes works hard to share his love and passion of music with every student at Dayton Leadership Academies. His goal is for all students to gain an appreciation of all the hard work that goes into the music they hear everyday.